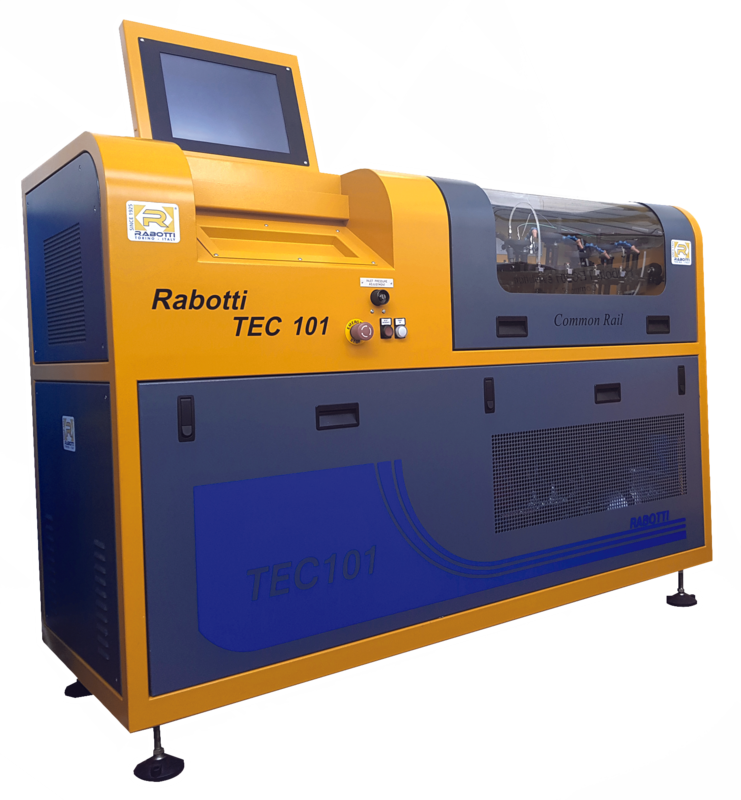 TEC101 is the most complete and versatile Common Rail test bench of the Rabotti range, an automatic and stand-alone solution to test CR injectors and pumps with OEM specifications. It has a sophisticated reading of deliveries, an 11 kW motor and an advanced management of temperatures. With the possibility of Bosch, Denso, Delphi and Siemens coding and 2500 bar hydraulic system that also adapts to the Bosch CP4 pumps, TEC101 is an indispensable tool for modern Diesel repair.